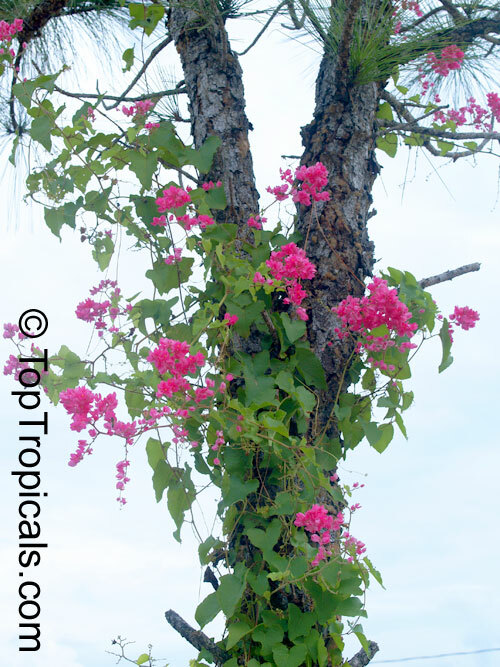 Naturalised in many parts of India. 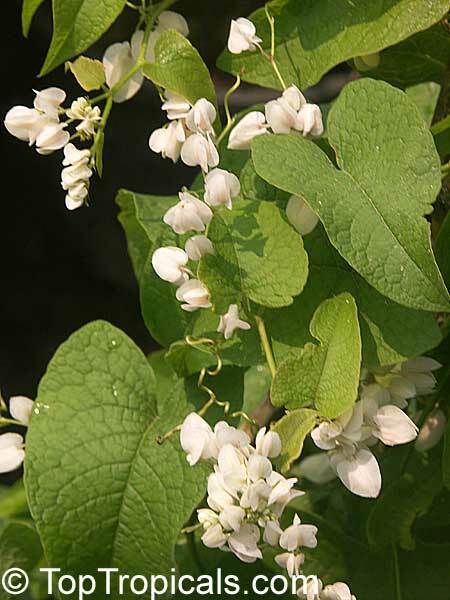 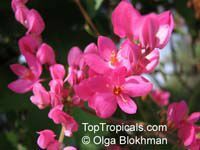 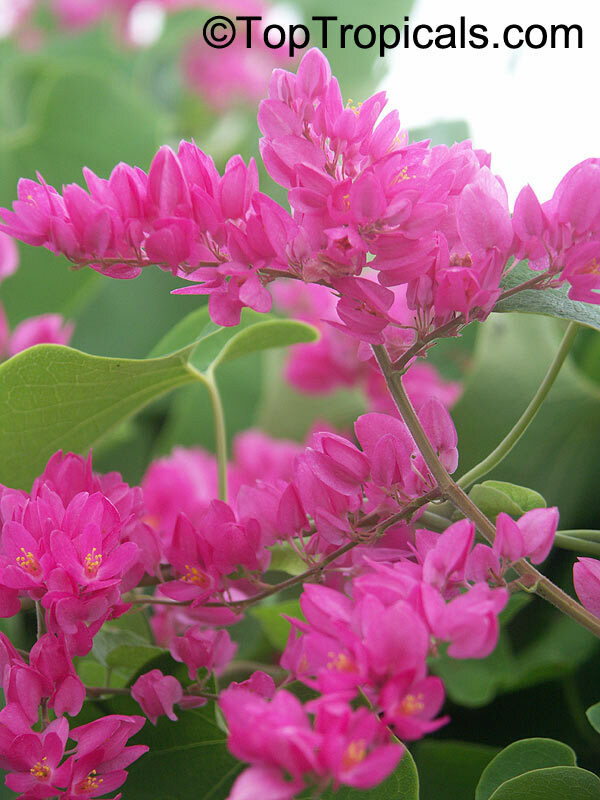 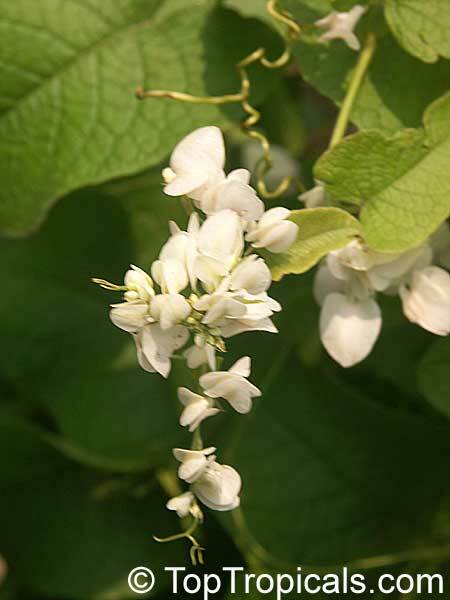 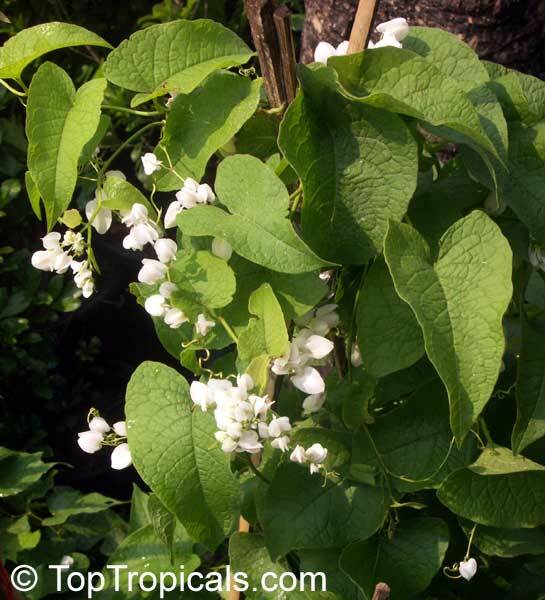 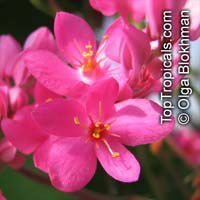 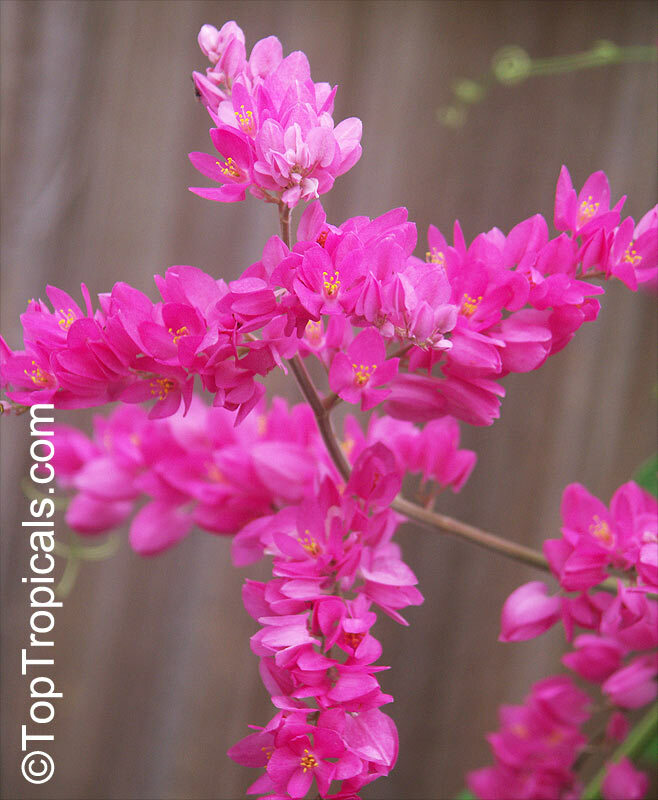 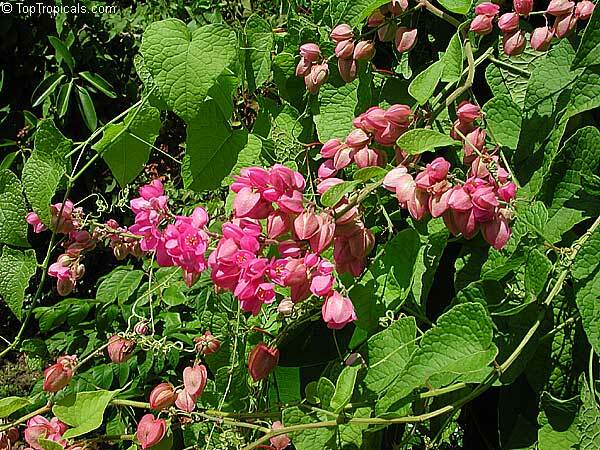 It is a vigorous perennial climber, known for its dense green foliage and small delicate lantern shaped flower in long trailing lovely sprays. 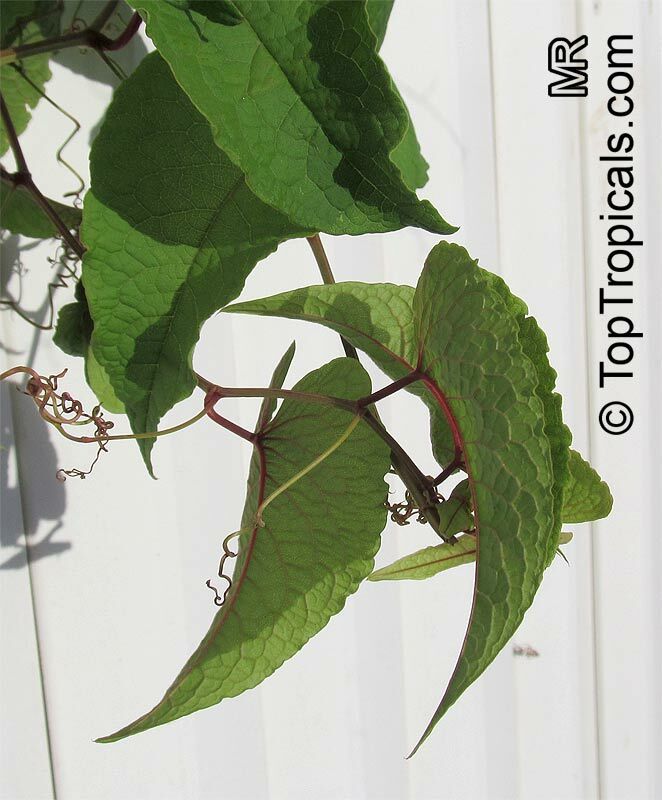 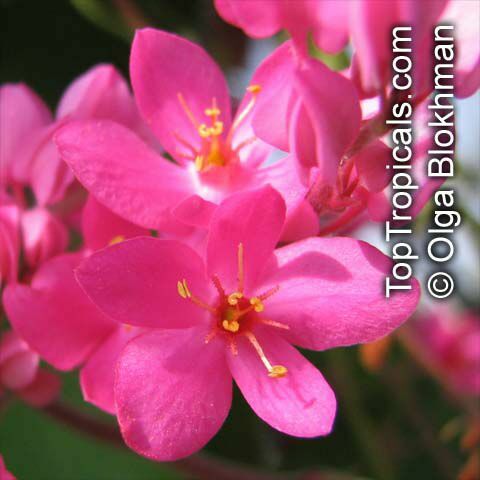 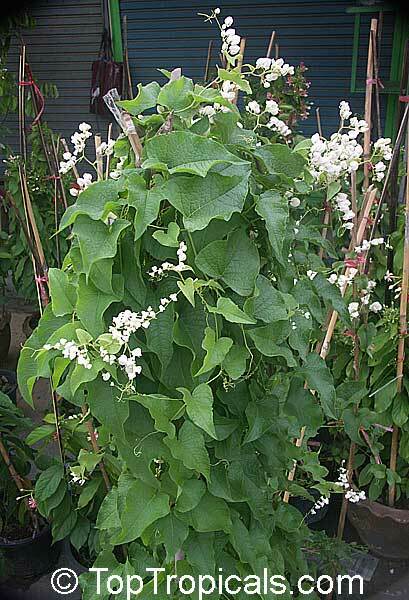 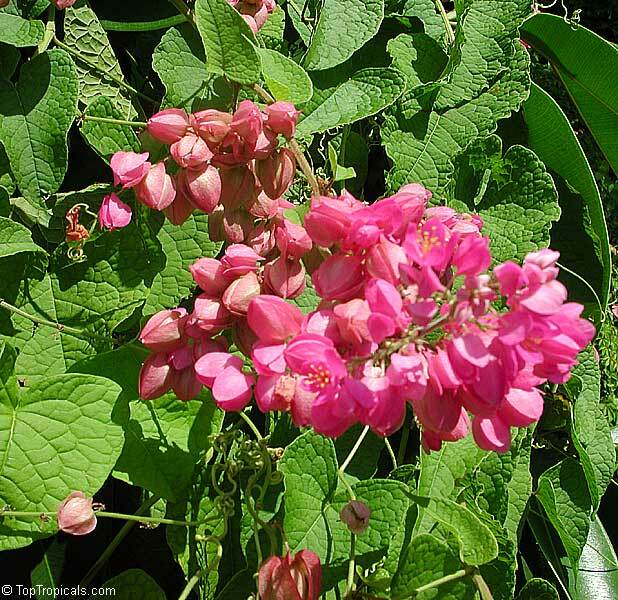 The plant has large tuberous roots and several ascending branches of 30-40 feet length. 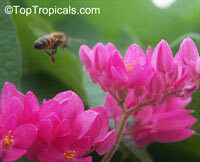 It flowers in all seasons except for a short period during monsoon. 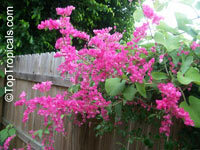 The flowers are white or in attractive shades of red and pink. The creepers grow well over arbors, pergolas, and walls. 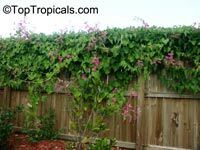 Regular pruning keeps the plant in good shape. 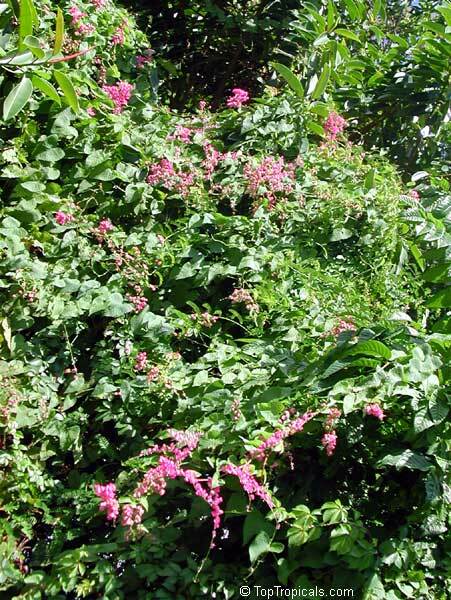 Too much food causes vigorous vegetative growth at the expense of flowering. 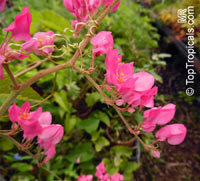 Propagation can be done by seeds, layers, stem cuttings or from division of the roots. 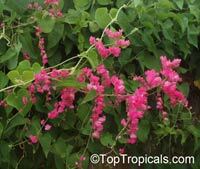 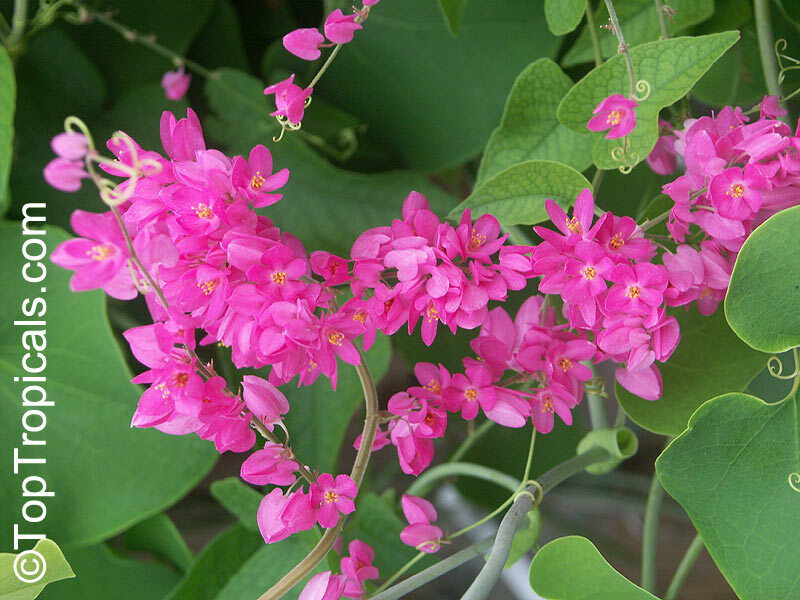 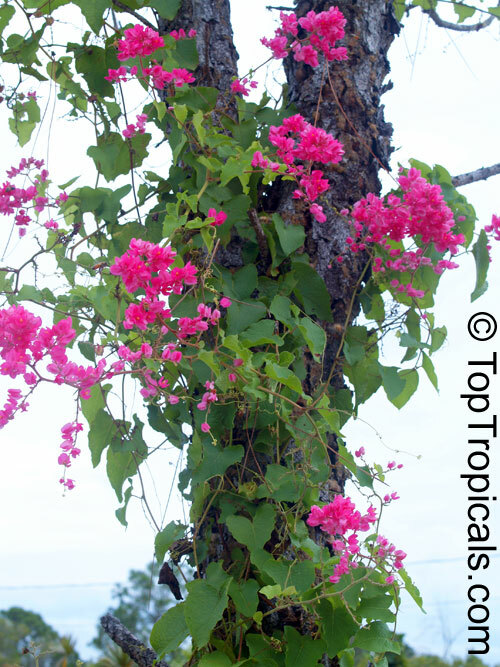 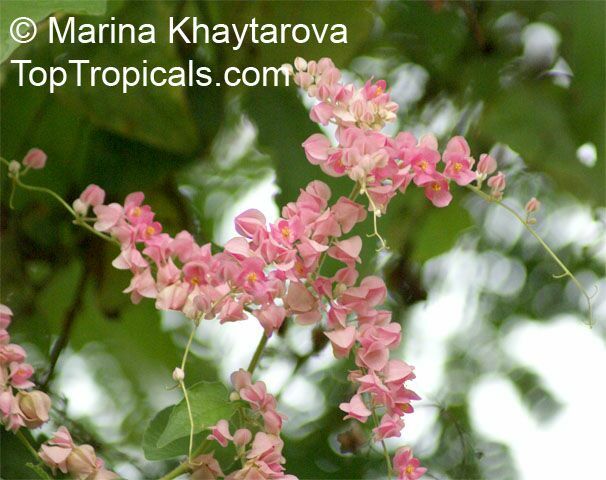 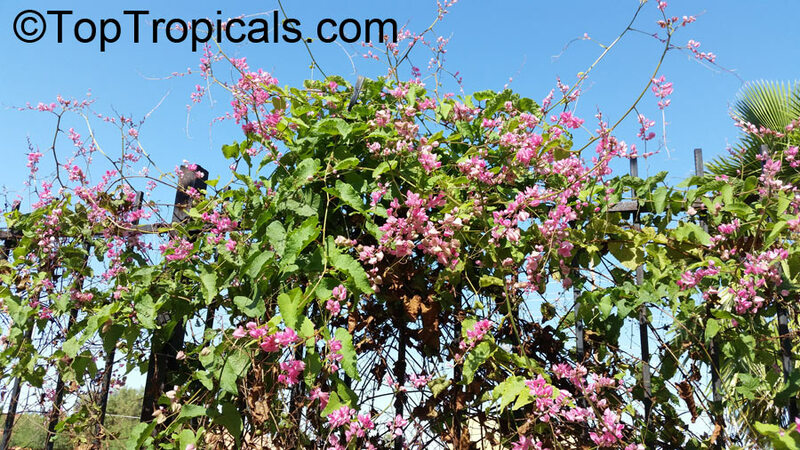 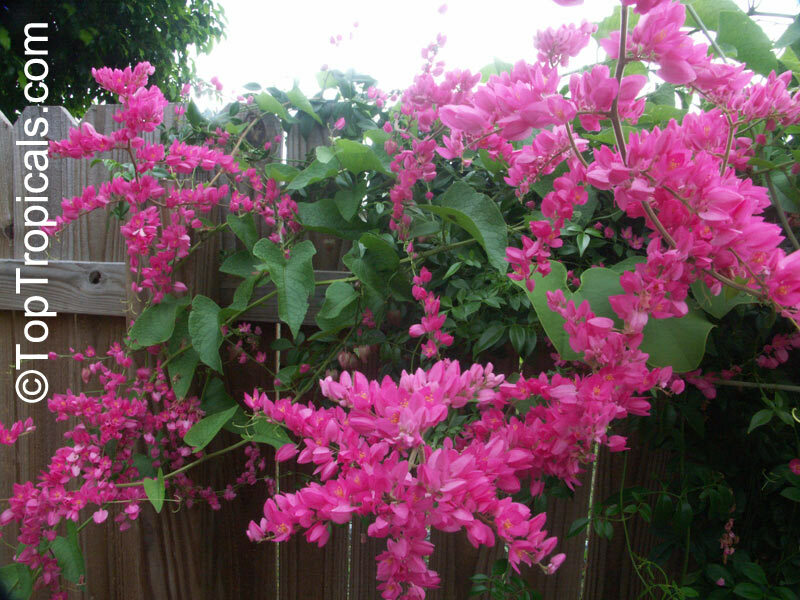 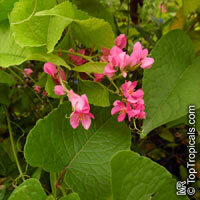 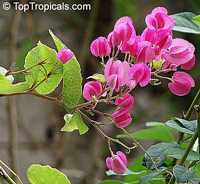 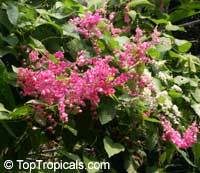 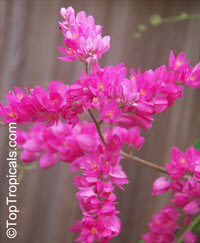 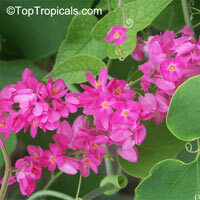 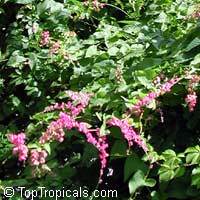 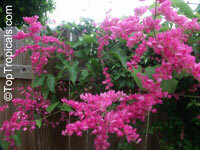 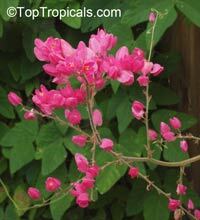 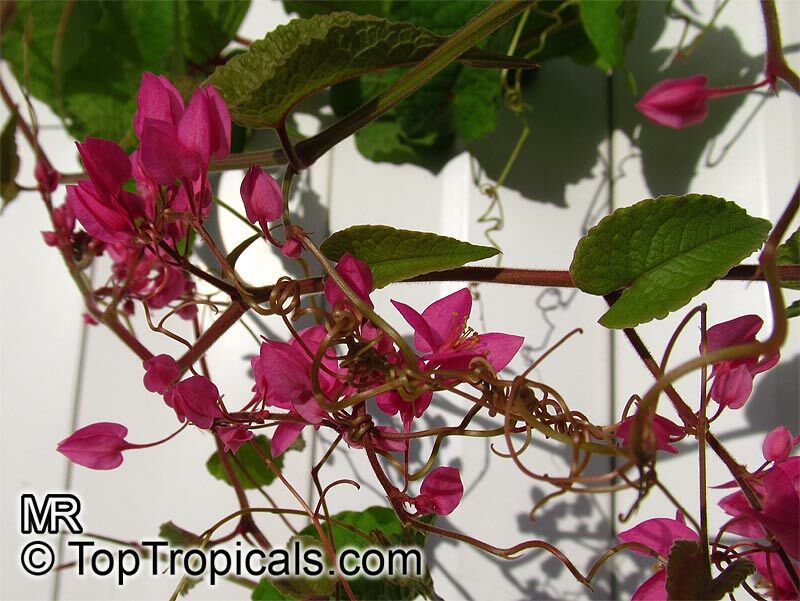 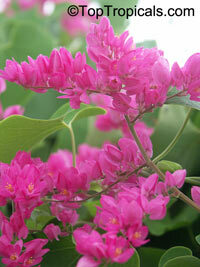 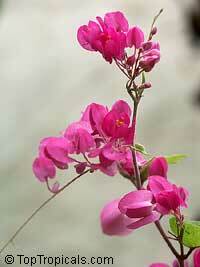 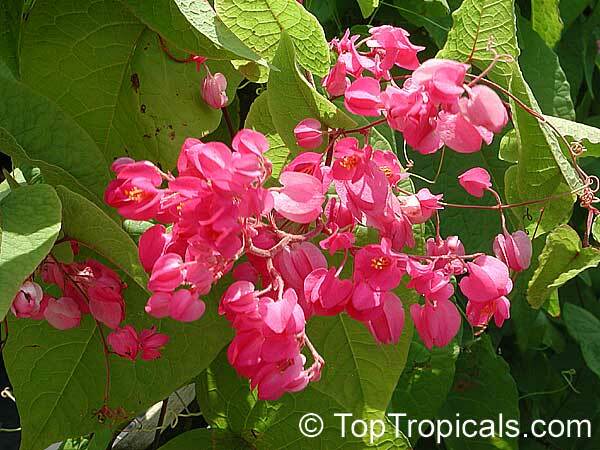 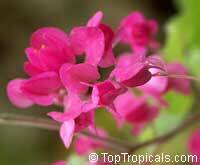 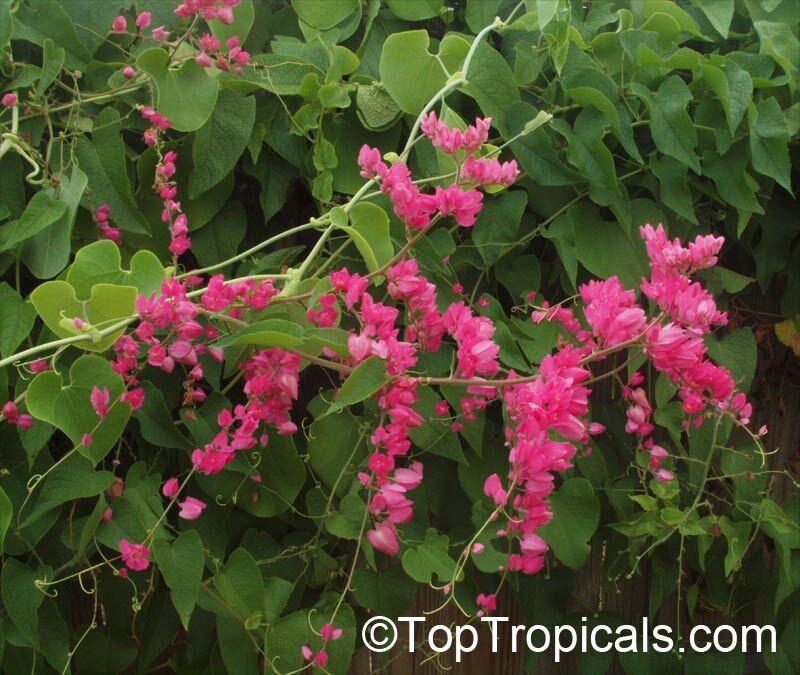 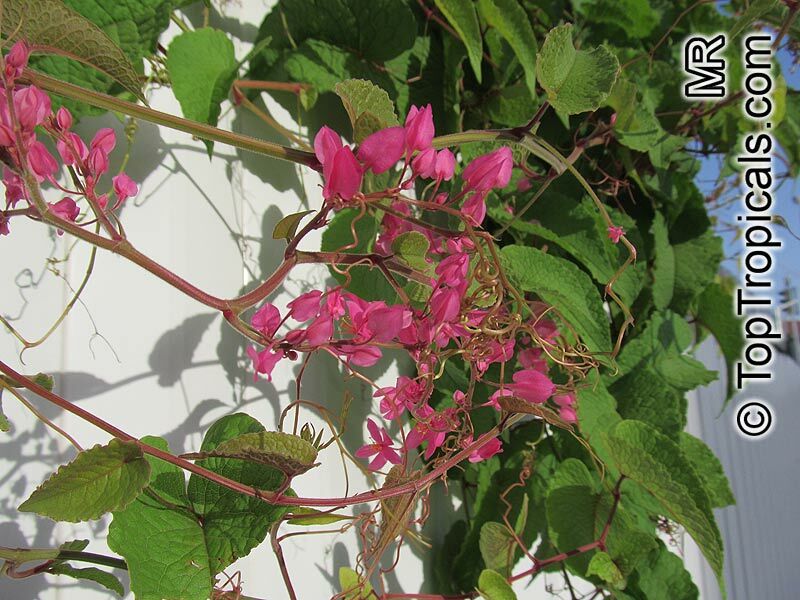 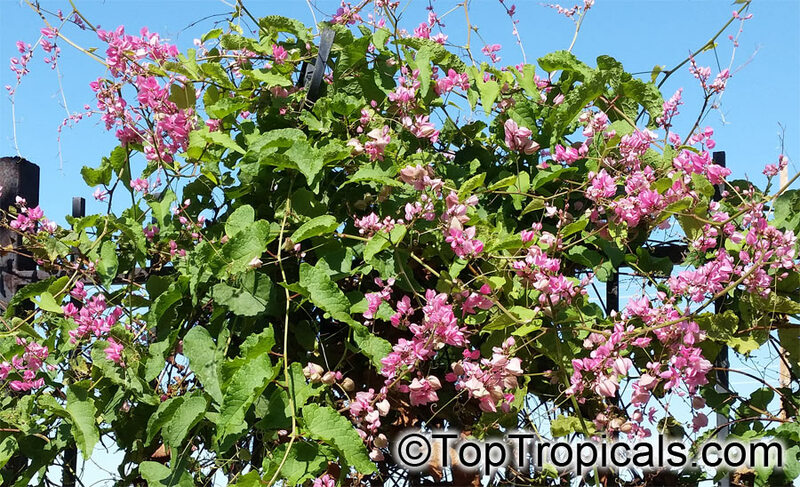 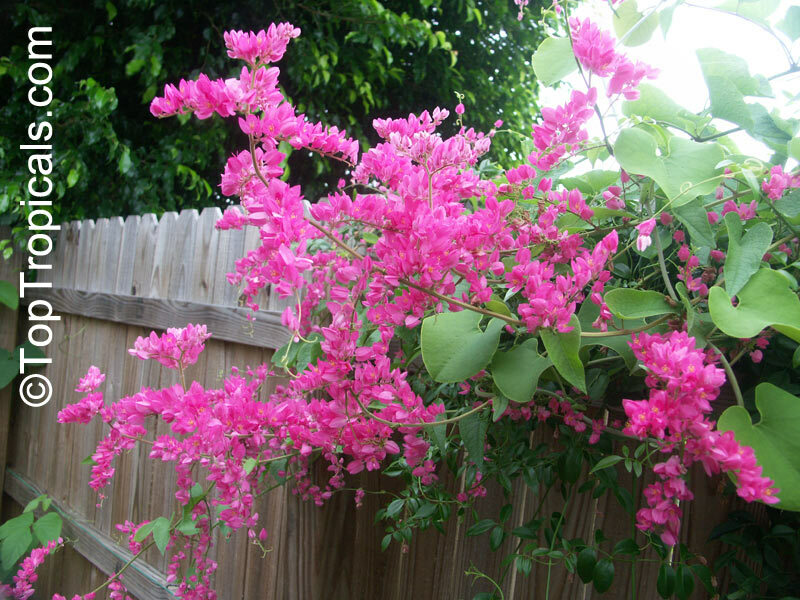 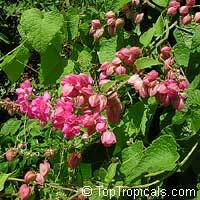 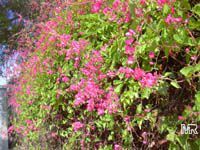 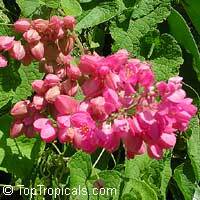 Coral vine, Chinese love vine. 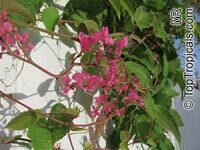 A vigorous perennial climber, known for its dense green foliage and small delicate lantern shaped flower in long trailing lovely sprays. The plant has large tuberous roots and several ascending branches of 30-40 feet length. 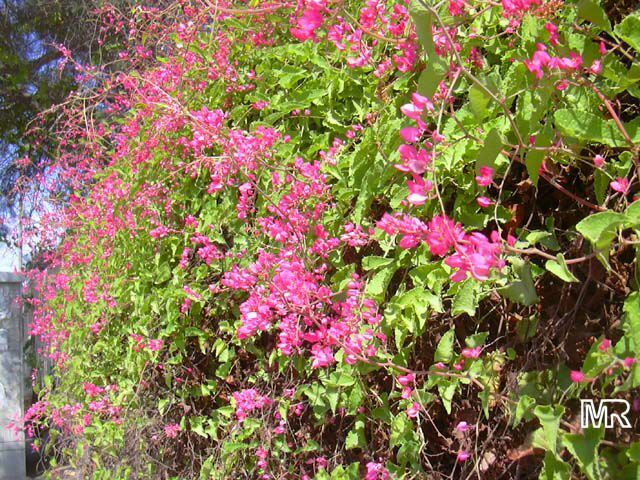 It flowers in all seasons except for a short period during monsoon. 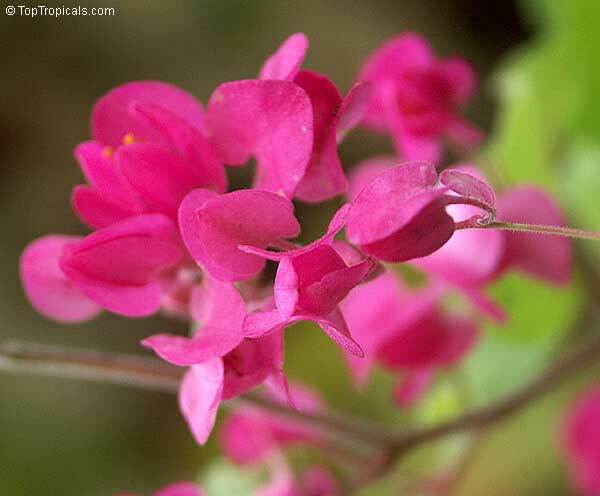 The flowers are in attractive shades of red and pink. 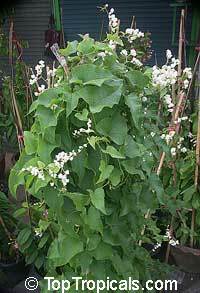 Pre-soak seeds 12 hrs. 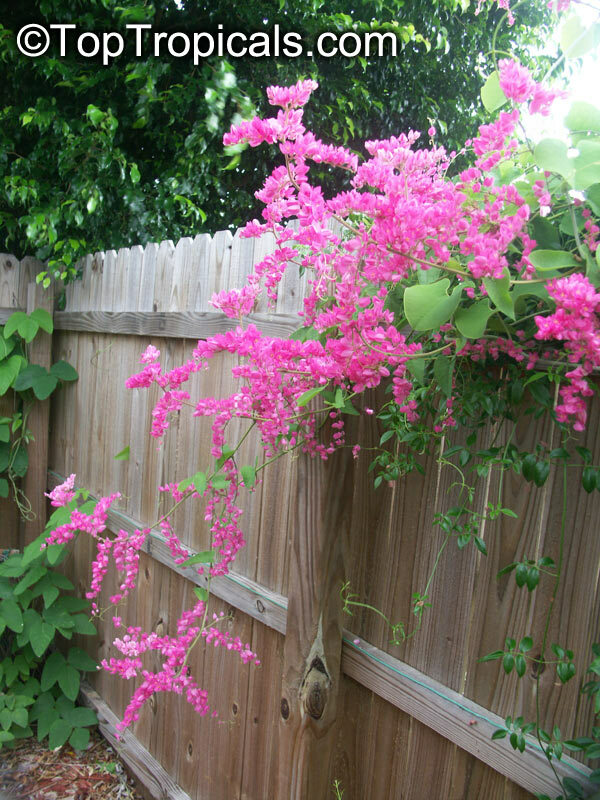 Plant 3/4" depth. 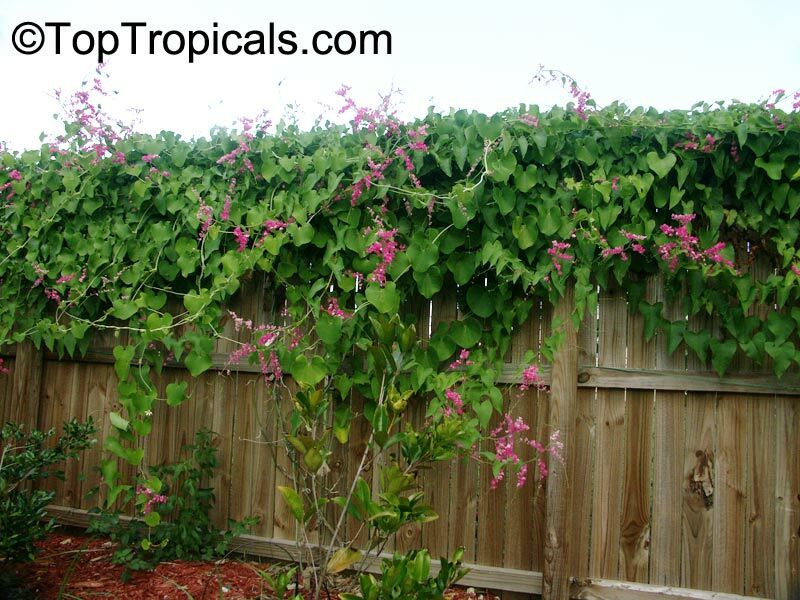 Keep damp - not wet.